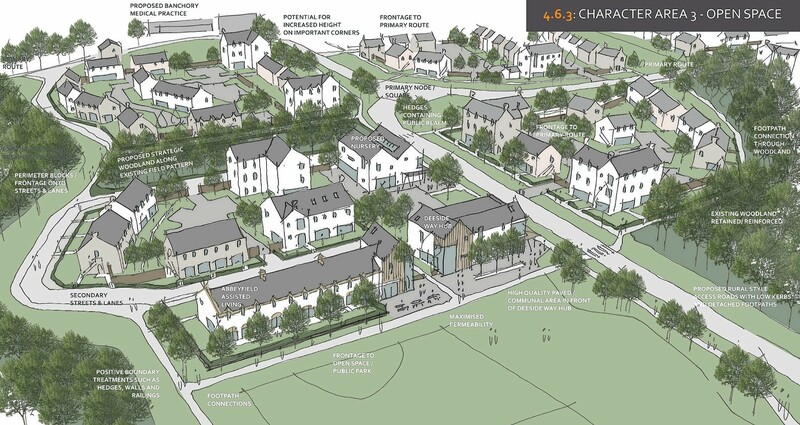 Developers and protesters are embroiled in a fresh row over plans for 400 new houses near a Deeside town. Councillors rejected Sandlaw Farming’s proposals for 300 rented homes, 75 affordable properties and 25 assisted-living apartments near Scolty Hill at Braehead, south of Banchory. But an appeal against the decision – made last week – has already been lodged with the Scottish Government. And objectors fear the move could undermine the planning process. Members of Stop Scolty Redevelopment accused the firm of acting in an “aggressive” way. But last night Ken Ross, of Ross Developments – which is agent for Sandlaw Farming – said it was the company’s “democratic right” to appeal. Local councillors said last week that the proposals at Braehead “just wouldn’t work”, and the plans attracted about 500 objections from Deeside residents. Spokesman for Stop Scolty Redevelopment, Mike Adams, said: “We are obviously disappointed that Sandlaw Farming has immediately indicated their intention to appeal the decision. “This will not be because of an issue with the process that took place, but simply because they don’t like the result. “The idea that a developer automatically appeals every decision when they don’t like the result is promoting a ‘development at any cost attitude’. “Fortunately, we do not have a developer-led planning process, but a plan-led process whereby local communities, planning departments, independent organisations and developers come together to allow the council to make decisions in the best interests of the wider community. However, Mr Ross said: “It is a democratic process and we have the right under the legislation to appeal if we think it is appropriate. “They are attempting to prejudice the situation just now by suggesting that we are being aggressive. We are exercising democratic rights, it isn’t being aggressive. “Like they have a right to object, we have a right to object as well. It is a democratic process.